Adoption: Would You Consider It? It is often hard for couples to fathom loving and bonding with a child that was not created by them. A child that does not have their DNA or physical features. A child who will not be “part of them.” The interesting thing is whether you adopt or birth a child, you never know who your child will be. You don’t know if your child will look like the mom, dad or other relatives. You don’t know what the child’s personality will be, their learning style as they begin to grow, their health, or even the various events that will take place in their lives. But no matter what the outcomes are, you will always love your child. Adoption is a selfless decision to love a child that is not yours biologically. As of November 2014, there were 415,129 children in the US foster care system; 107,918 of those children are available for adoption (AFCARS Report). It is even more staggering that 24% of the children available for adoption are African-American, yet African-American families are less likely to adopt than other races. When thinking about these statistics and young African-American children who have been adopted, I decided to write my first children’s book on adoption entitled, Heart Picked: Elizabeth’s Adoption Tale. This book is one of the only children’s books on adoption to feature an African-American family and young girl as the main character. I hope this book will help children and families to develop a positive and confident outlook on adoption. When reflecting on my adoption story, I am so grateful that my parents chose adoption. My parents tried to have children naturally. They were headed down the fertility path when they sat down together as a married couple and thought about their options. After several conversations, they decided against fertility treatments and started the process to adopt a child. The process for them took less than one year. They applied to the Children’s Home Society of North Carolina, friends and colleagues sent in references, had a physical from their doctor and met with a social worker. The approval process for them was about 3-6 months, and then they waited to find an available match. My adoption finalized in November 1984, and we became a family. I was adopted at six weeks old, which is a blessing in itself given the fact that most children are adopted within three years, and the average age is eight (AFCARS Report). My adoption was explained to me when I was around five years old. My parents have always had open and honest conversations about my adoption. A child’s adoption should never be a secret or talked about in a negative way. I had a closed adoption and have very little information on my birth family aside from their medical history and some physical characteristics. I know my birth mother had skin allergies, which explains my Eczema. My birth mother was 5’3 and birth father 5’11 which explains my height of 5’8. Interestingly, my paternal grandmother had red hair. Aside from those details, everything else is a mystery. For a long time, I internalized emotions regarding my adoption. When I was younger, the idea of meeting my birth parents was terrifying. I had so many “what if” and “why “questions. At this point in my life, being 31 years old, I leave it to God if it is in His plan for me to meet them. If I ever meet members of my birth family, I will thank them for giving me life and making the tough decision to place me up for adoption. At the time, I am sure that was a scary thought for them, but I am forever grateful for their decision. 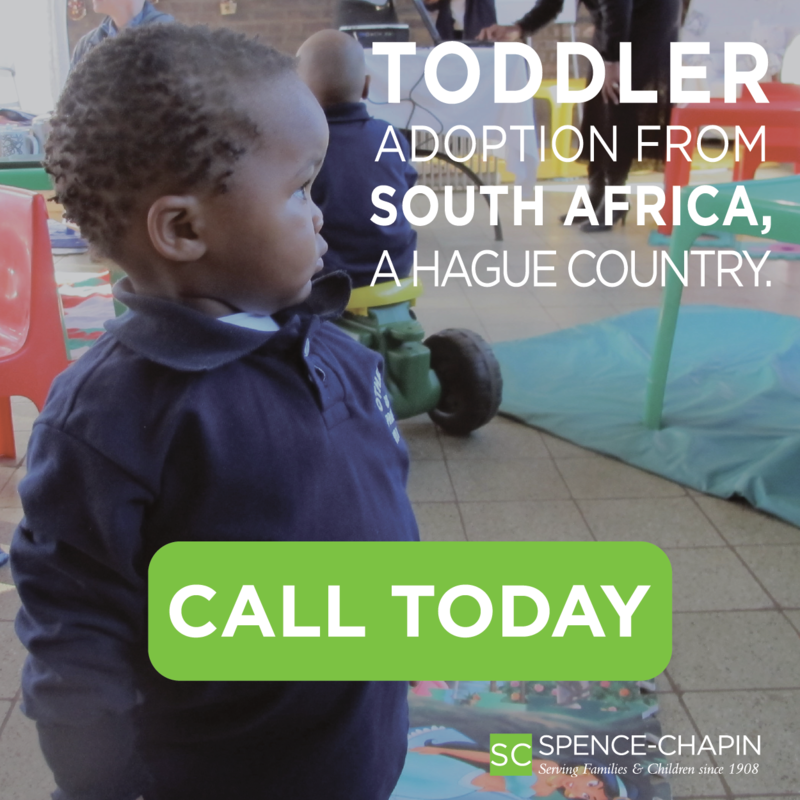 Adoption can be a blessing for everyone involved: the birth family who could not care for the child, the child who receives a family and the adoptive parents who are blessed with a child to love. Unconditional love is one of the most important things you can give to a child. I encourage families to consider adoption. 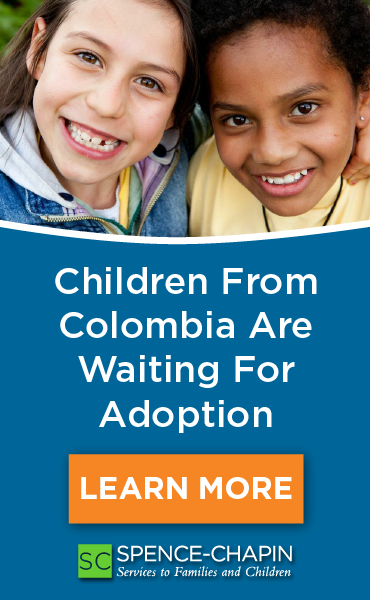 Consider how you can change the lives of a young girl or boy yearning for a loving home to call family. When I came into my parents’ lives, we were a family. I am their child, and they are my parents. Not their adoptive child or my adoptive parents. Simply, parent and child. Sara Elizabeth Neal Crutcher is an advertising executive, entrepreneur and blogger living in Detroit, MI. Sara believes her greatest blessing came at just six weeks old in Greensboro, NC, when she was adopted into a loving and supportive family. As a young girl, Sara recalls sitting down with her parents to explain her adoption. Although at the time she did not fully understand what adoption meant; she was reassured that she was heart picked and surrounded by unconditional love. 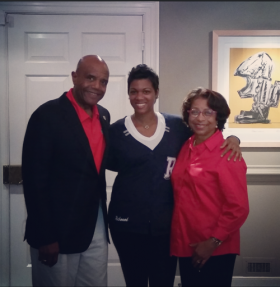 She graduated from Hampton University with a degree in advertising. She enjoys spending time with her family and friends, traveling the world, reading novels, and playing her violin. Sara is the first-time author of Heart Picked: Elizabeth's Adoption Tale , a touching narrative that affirms love is what truly makes a family. Sara would like to encourage other adoptees to share their stories by using her hashtag #IAMHEARTPICKED. 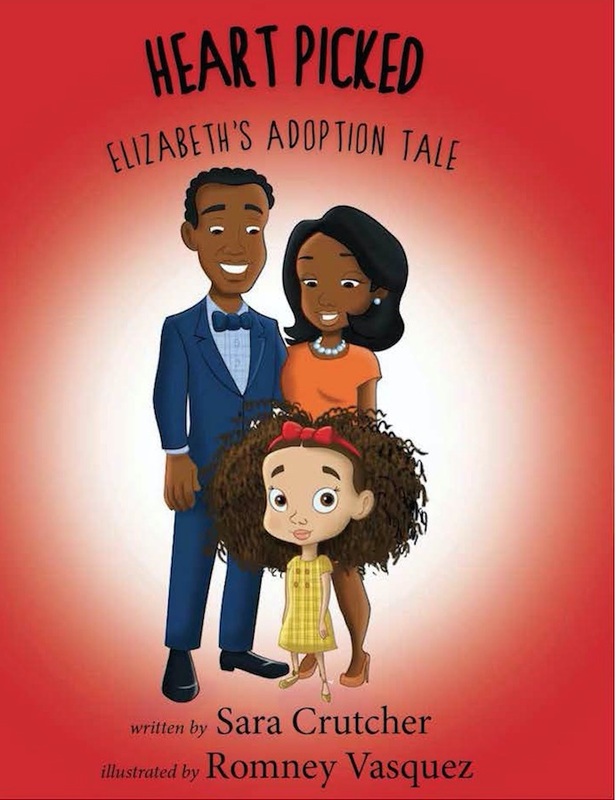 Heart Picked: Elizabeth’s Adoption Tale is published by Mascot Books and illustrated by Romney Vasquez. It is available on Heart Picked With Love and Amazon. The book will also be available on Barnes and Nobles, and Books A Million beginning January 1, 2016.